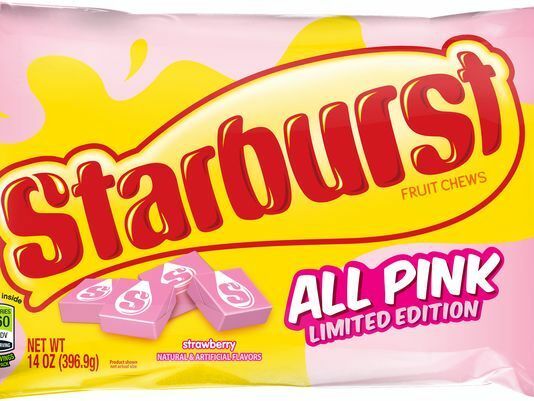 Starburst plans to release limited-edition packs of “All Pink” fruit chews this April! The all-pink packs will come in 2 sizes; single stick for 99 cents and a larger bag for a little over $3. They’ll be available for a limited time in April at retailers including Walmart, Target, Kroger, Walgreens, H-EB, Meijer and Amazon. While everyone has a favorite flavor or color of Starburst, pink has always risen to the top for our fans. From memes about relationships to sharing photos of excitement when getting a pink Starburst, over half of all references to Starburst on social media are about pink Starburst.